This book suggests that religion, in its usual sense, can be replaced by something better, that the human spirit or subjectivity can be the subject of scientific study and that lack of purpose or design in the universe is not a handicap but a positive opportunity for intelligent beings to make of the universe and its contents what they reasonably can. The book breaks new ground in suggesting a radical alternative to religion. It offers a scientific and humanist alternative to religion which appeals to people’s critical faculties rather than emotions or intuitions. It also challenges current views of causation and the principle of sufficient reason by stressing the subjectivity of our reasoning powers and clarifying these in relation to an independent external reality. It develops and elaborates a notion of the ’noosphere’ within a theoretical system, this enables the notion to assume a scientific importance which it currently lacks because it is treated as an isolated, eccentric and rather mystical idea. 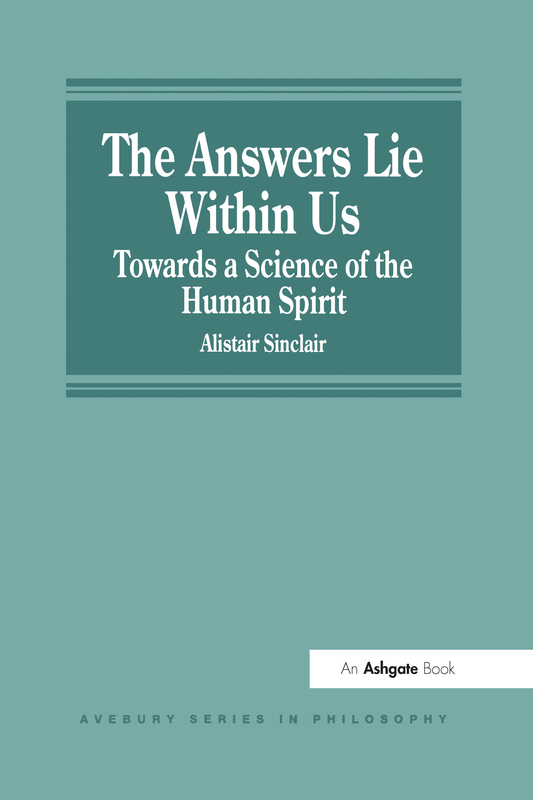 Contents: What This Book Is About: Introduction: Finding The Answers For Ourselves; The need for spirituality in our lives; Finding out for ourselves why we are here; The need for a science of the human spirit ; Some further implications of Noology. Rethinking Religion And Morality: The irrelevance of religion today ; Why believe in God at all? ; The harmful nature of the notion of God; The notion of God as a precursor to Noology. An Outline Of This Proposed Science: The Nature of Subjective Thought: The science of the human spirit as a study of subjectivity; Subjectivity and objectivity; The activity of the human spirit; Self-reference and subjectivity; Subjectivity and the principle of sufficient reason; Subjectivity and causation. Purpose, Value And Meaning: The holistic nature of goal-seeking; Reconciling holism and reductionism; Value and meaning; Using universal notions to achieve our ends. The Evaluation Of Life And Living: The common sense limitations to universal notions; The teleological deployment of universal notions; The mystical aspects of our universal notions. The Use And Value Of The Noosphere: The Noosphere as an object of study and contemplation; The origin and use of the Noosphere; The Noosphere and its past and present equivalents; The Noosphere and the good of posterity. The Presence Of Posterity:The presence of posterity now; Our prospects for the future; Noology as a pointer towards posterity; Bibliography; Name Index; Subject Index. A long-established Avebury Series in Philosophy has built an international reputation for its cutting-edge research across the breadth of the discipline. The series includes new critical work from young scholars as well as leading research from established names worldwide.